A popular belief among people in India, as well as, abroad is that property investment is only ideal for individuals with established or upcoming careers. However, the question is – is this true? To find out an answer to this, it is important to ascertain how banks and other financial institutions view investors who no longer fall in that age bracket. Also, can one really become too old to put his or her money into property? Is there any restriction as to when a person can purchase a property? Of course, it is a matter of fact that financial institutions readily lend an individual only for so long; and when a potential borrower is nearing his or her retirement, the entire concept of providing them with a long-term loan does not really make any sense. Keep reading to get more insight of the topic. On an average, an individual in his or her early thirties will have approximately thirty years of professional life left. Therefore, this will automatically give them a lot of time to build a sizeable property portfolio. When a person is in his or her forties, they can also create an impressive property portfolio because they still have twenty good years ahead of them during which they can generate income. They may have more years if they start a business of their own or something. However, it is needless to say that the sooner an individual starts investing in property, the better. Also, it is generally assumed that an individual taking a home loan must have the capability of repaying it within twenty-five to thirty years. So, what is the correct age to buy a house? If you are purchasing a house for your personal use, the whole thing actually gets a lot simpler. There is actually no “right” age when it comes to owning a home. You can even buy a home at the age of 65! Home ownership is an asset and you can buy a home at any age. 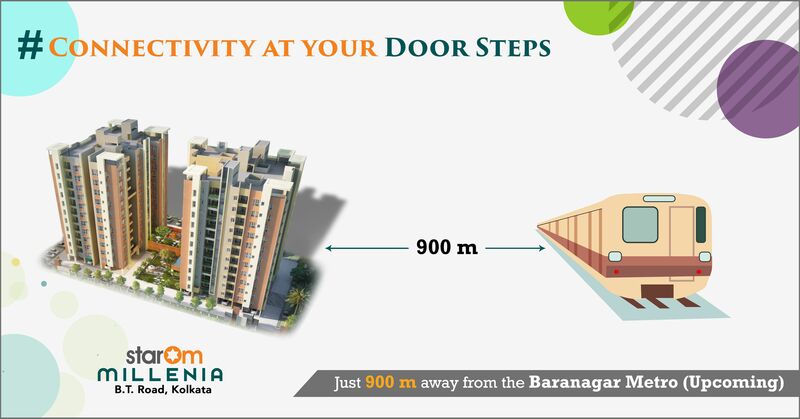 StarOm Millenia is a fabulous residential development where you can choose to move in with your family. The complex offers 2 and 3 BHK flats with 24/7 security, swimming pool, gymnasium, AC banquet hall and so much more. The flats are in great demand and if you are considering buying a home, hurry out before all the flats are booked.